With the scent of the holidays, this gingerbread rice is fabulous for Christmas sensory play when used simply for filling and pouring in a plastic tub or as ‘snow’ in a fabulous holiday themed small world. To make the gingerbread rice I combined regular, uncooked rice with gingerbread spices. I love uncooked rice for sensory play as it lasts simply ages – for example, we still bring out our rosemary rice that I made over 12 months ago, and it’s easy to clean up with a quick sweep or vacuum. 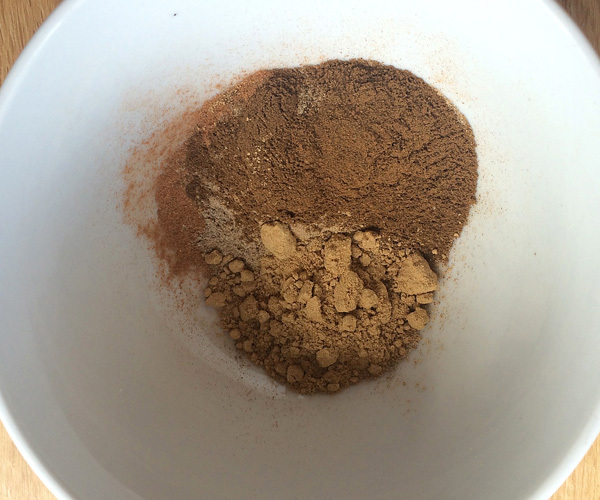 For this gingerbread rice I combined 1 teaspoon each of the following dried spices – ground ginger, ground cloves, cardamon and cinnamon. The mix smelt heavenly. To create the small world, I used an empty desk drawer from an unused desk but you could use a large tray or a plastic tub with low sides (like an underbed tub). 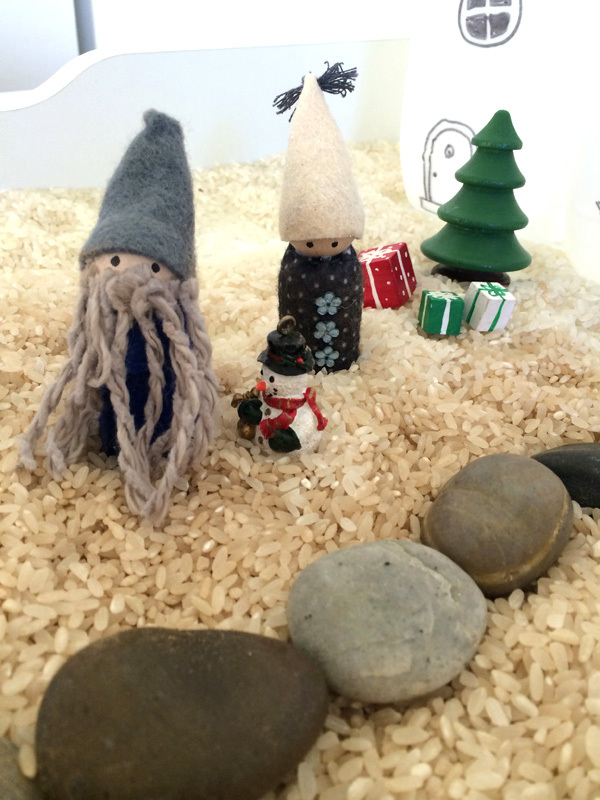 I spread out the rice (pop the bag of rice in the freezer beforehand to make it extra cold and extra sensory) and added a collection of homemade gnomes (here are the instructions for how I made our gnomes) and some small wooden Christmas ornaments – like these – but any figurines will do). 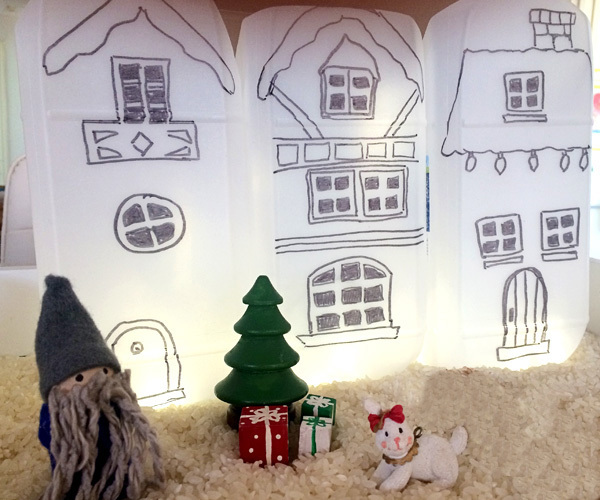 …and three village houses that I made from 2L plastic milk jugs. To make each house, thoroughly wash the milk bottle and then cut away the handle and top sectionwith a utility knife. Draw windows and doors on the front of each house with a permanent marker pen. I also added a string of battery operated Christmas lights so that the houses look especially festive. No milk jugs – cereal boxes are cute too! 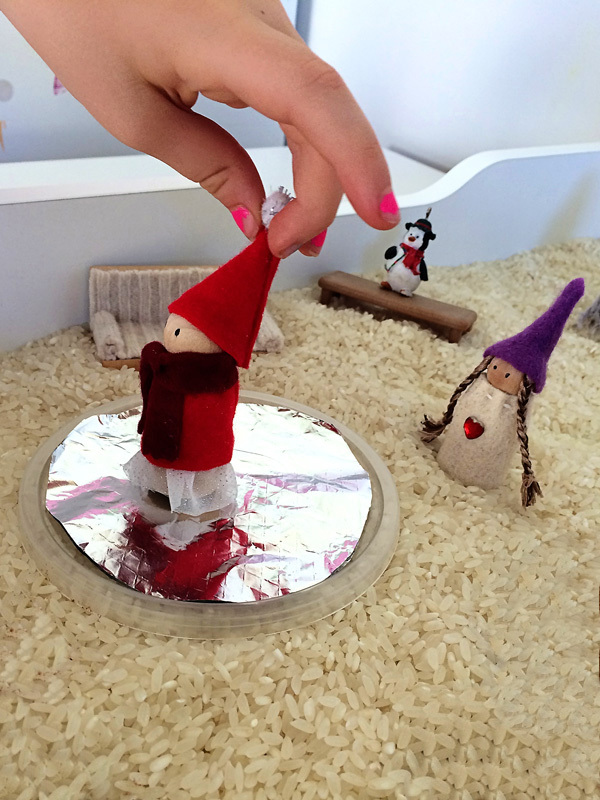 I created an ice rink from a plastic lid and some alfoil and then the little frosty small world was ready for play! Immy is fascinated by the idea of snow and this is definitely the closest we will be getting to snow play this Christmas on our sunny, Summer side of the world! Play started with the gnomes building a snowman and ice skating on the frozen pond. At 2 1/2 AJ loves mixing the rice and running the rice between her hands and fingers, while being a small world, Immy (at 6 1/2) loves the imaginative play that such an invitation creates. She even added a path for the villagers using river stones. Do you know someone who would love to play with gingerbread rice??? 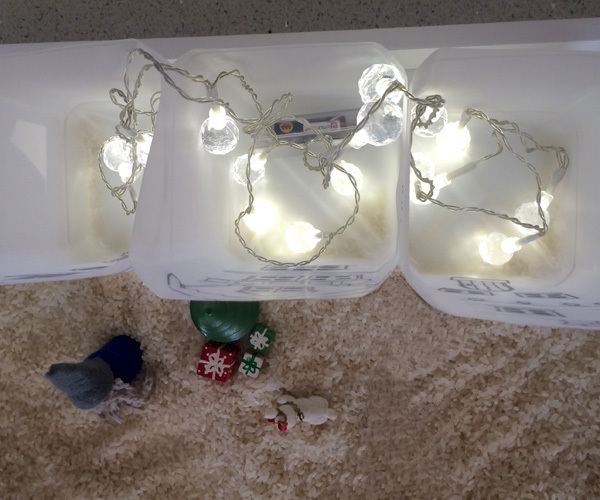 • Cathy of Nurturestore shares a candy cane sensory tub. 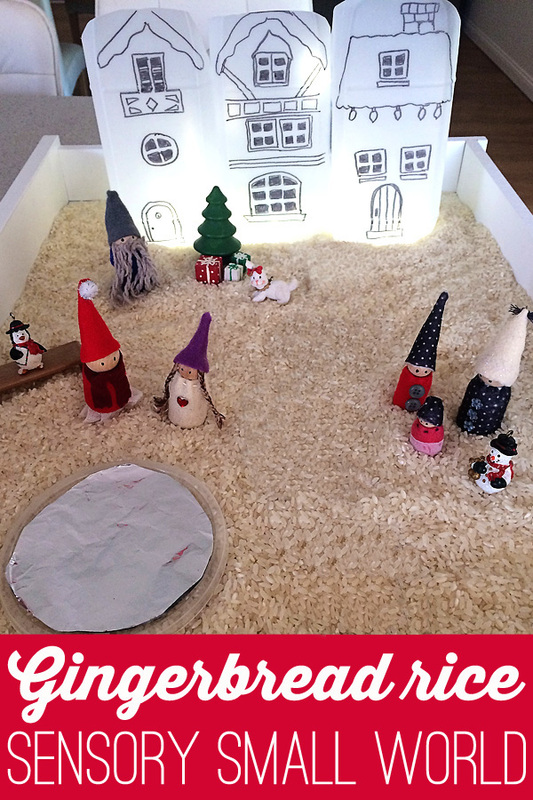 • Kate of Picklebums has created a wonderful Christmas Imaginary Play invitation. • Meri of Meri Cherry made some Crazy Christmas Cookies. • Ana of Babble Dabble Do shares a Winter scent lab and game. • Kristina of Toddler Approved is creating with Edible, Holiday Scented Paint. That's great! What a fabulous idea. I think I'm going to try something like that with my daughter. I'm in love with that milk carton town!!! It's looks awesome! oooh those houses are so clever! I know a small person who would LOVE this!